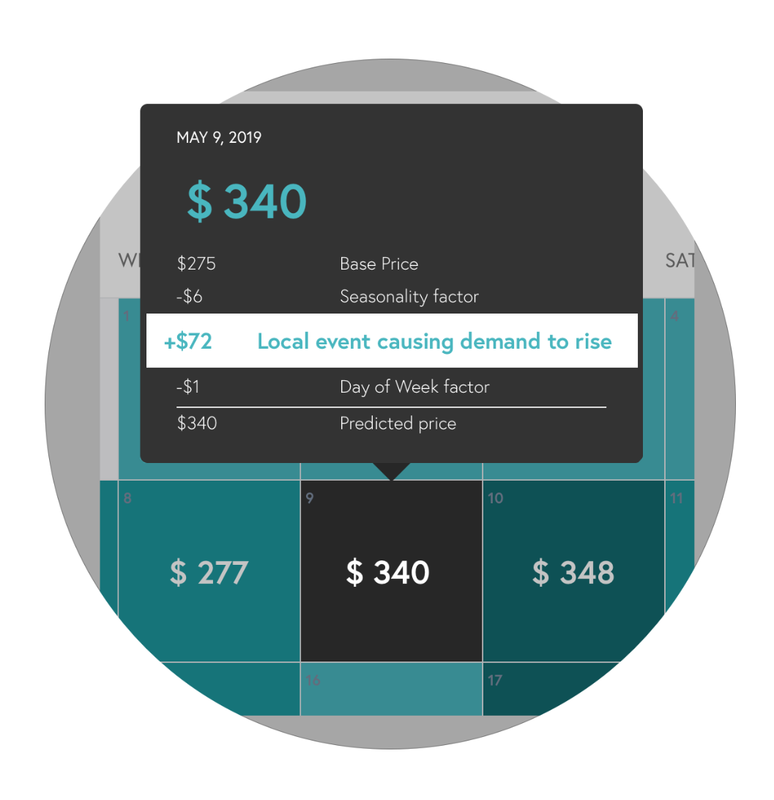 Beyond Pricing is an automated dynamic pricing solution. We utilize real-time market data to ensure our price recommendations maximize revenue and occupancy for our hosts. Automate Pricing and Stay In Control. 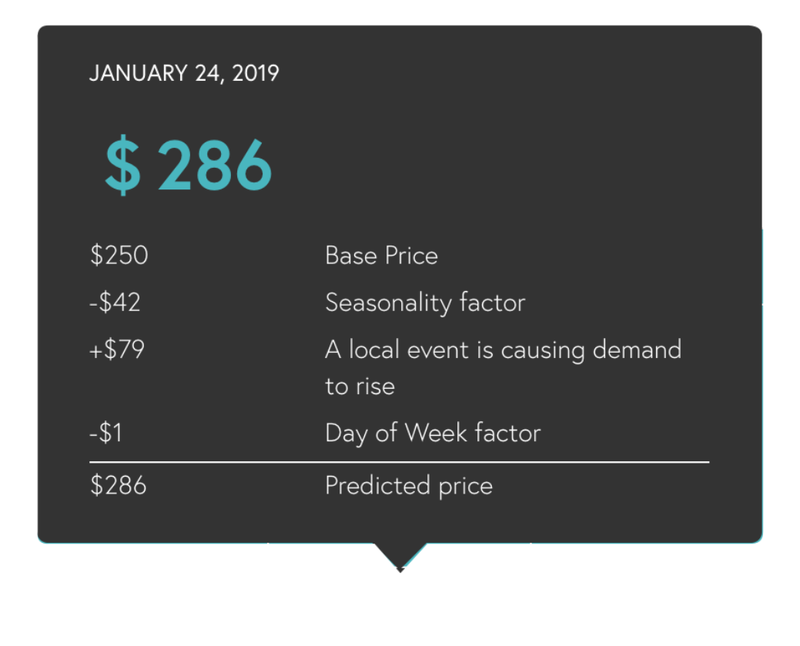 Your listing will be updated daily based on changes in supply and demand in the market, day of week, seasonality, and local events. Pricing is tough. Trust the experts. Our solution is the most advanced in the industry. We account for changes in demand nightly and ensure you’re never leaving money on the table. 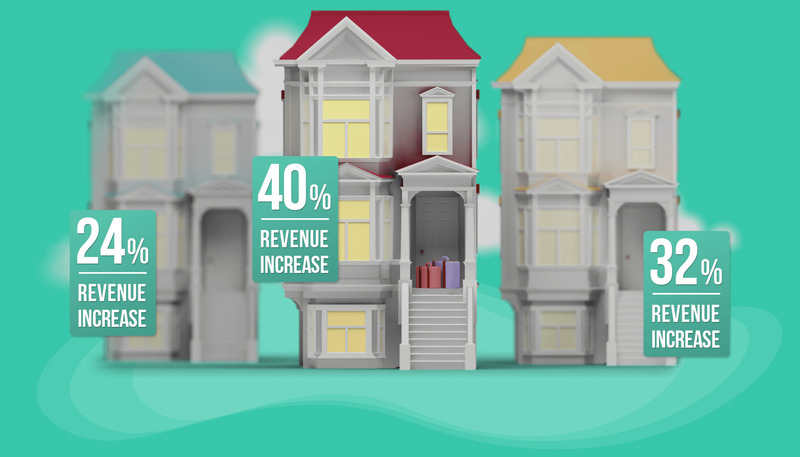 Beyond Pricing dynamically prices 150,000+ listings in more than 7,000 cities worldwide. Over $1B in bookings priced. Connect your property listing. Link your account, or multiple accounts, with one click. You’ll be able to manage all the accounts, calendars, and pricing recommendations from the Beyond Pricing dashboard. We recommend prices. We’ll recommend prices for you after analyzing the health of your listing based off of factors such as your neighborhood, seasonality, local demand, and more. Automate syncing with 1 click. 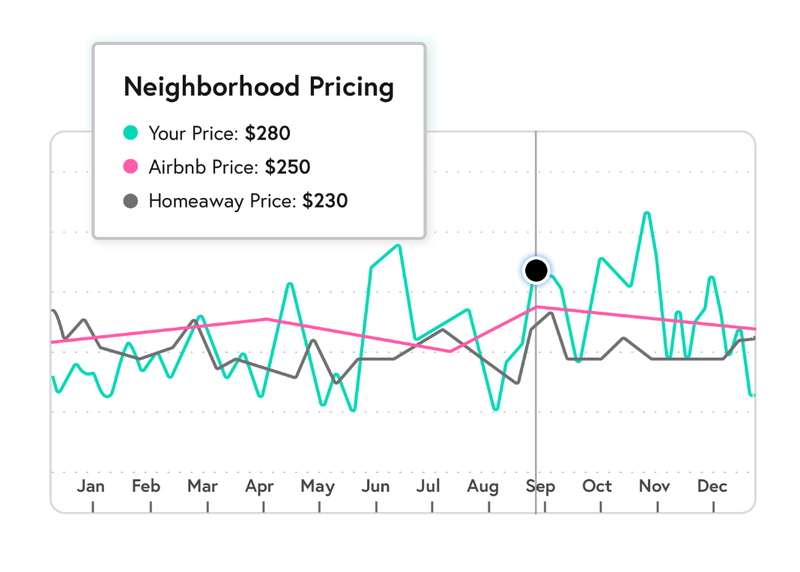 Enable daily automated updates to your Airbnb calendar by turning on Beyond Pricing sync. Turning on sync will guarantee your listing is always competitively priced. Make more money. 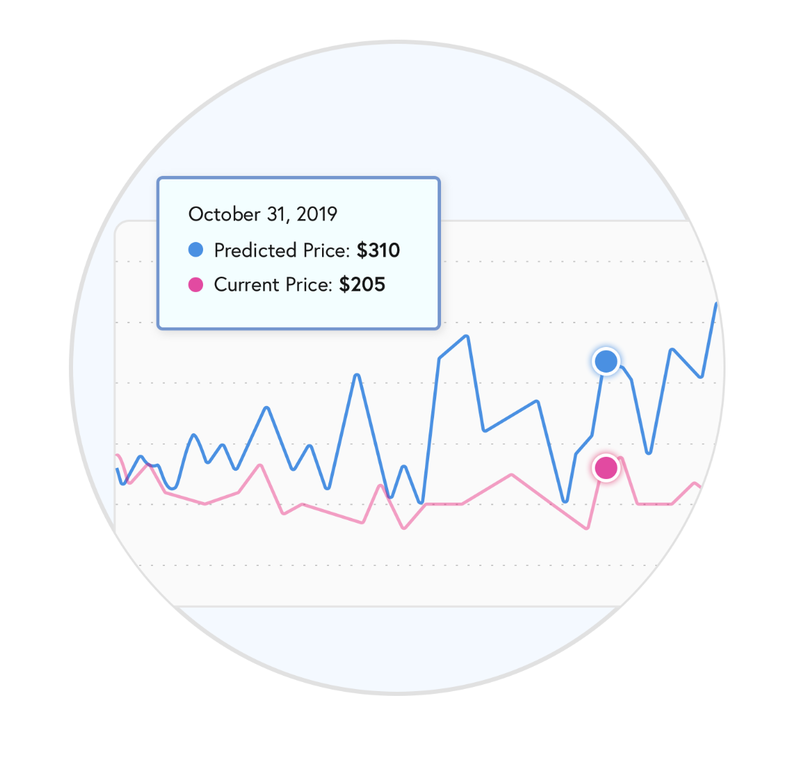 Everyday, our algorithms assess the likelihood that each of your vacancies will book, and we adjust prices accordingly. 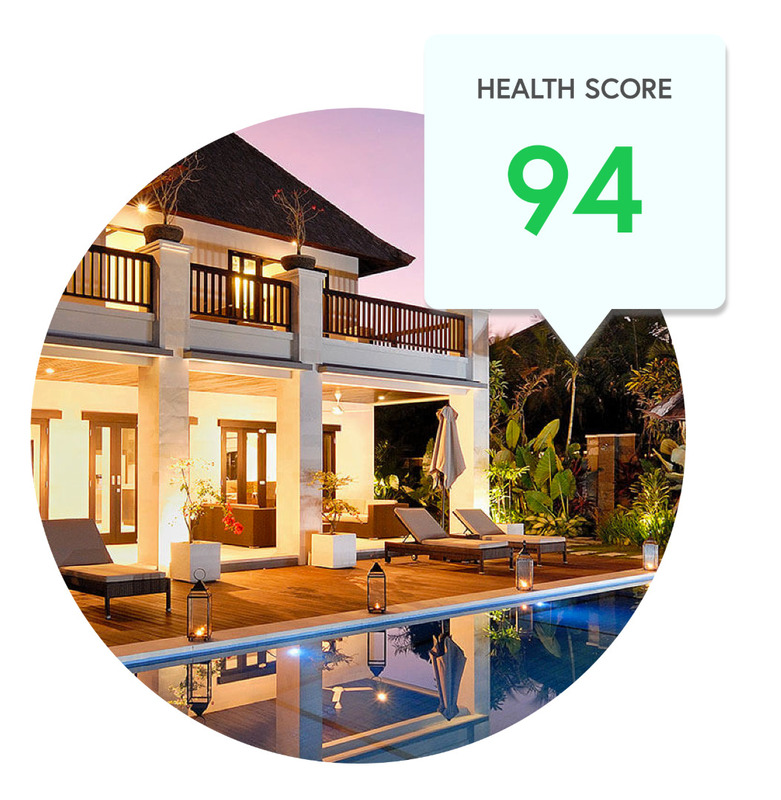 Our users make up to 40% in additional booking revenue! Track performance at a glance. Easy to scan dashboard allows you to quickly spot pricing improvement opportunities using our proprietary occupancy-based Health Score. Know exactly why prices are changing. Using localized market data we provide detailed insights for every price recommendation. You’ll know why prices are going up or down on any day of the year. Preview and sync a year of price recommendations. See a full year of pricing recommendations for each listing. A single centralized view that’s updated daily based on changes in supply and demand in the market. Automated dynamic pricing. 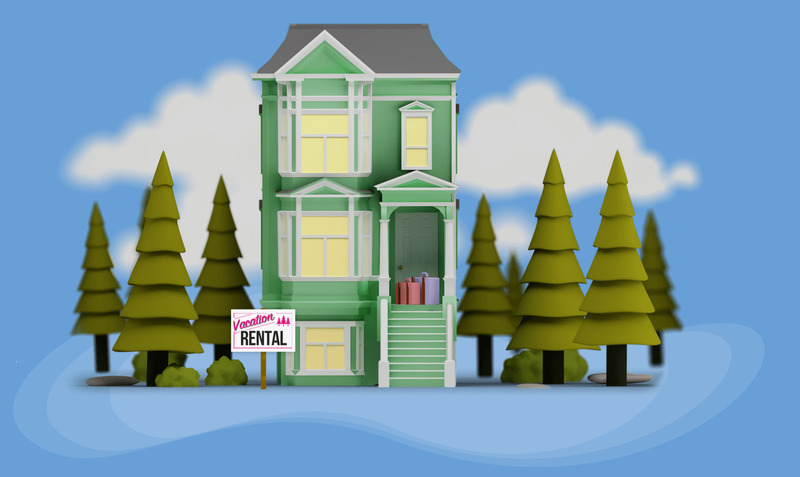 We can handle all of the pricing for your properties automatically. 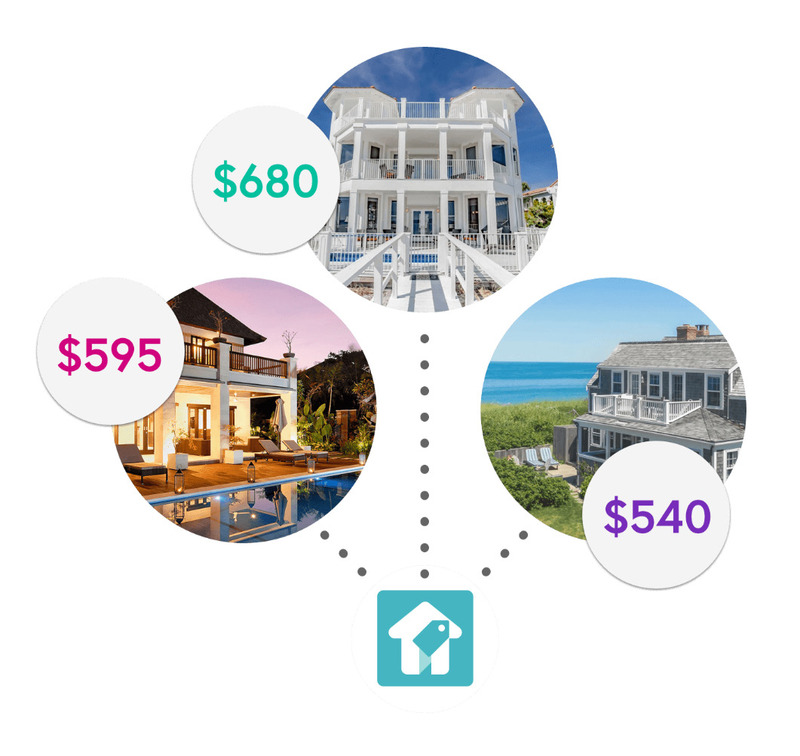 As demand changes, we’ll apply our sophisticated revenue management and dynamic data models to your listings. Import your listing. 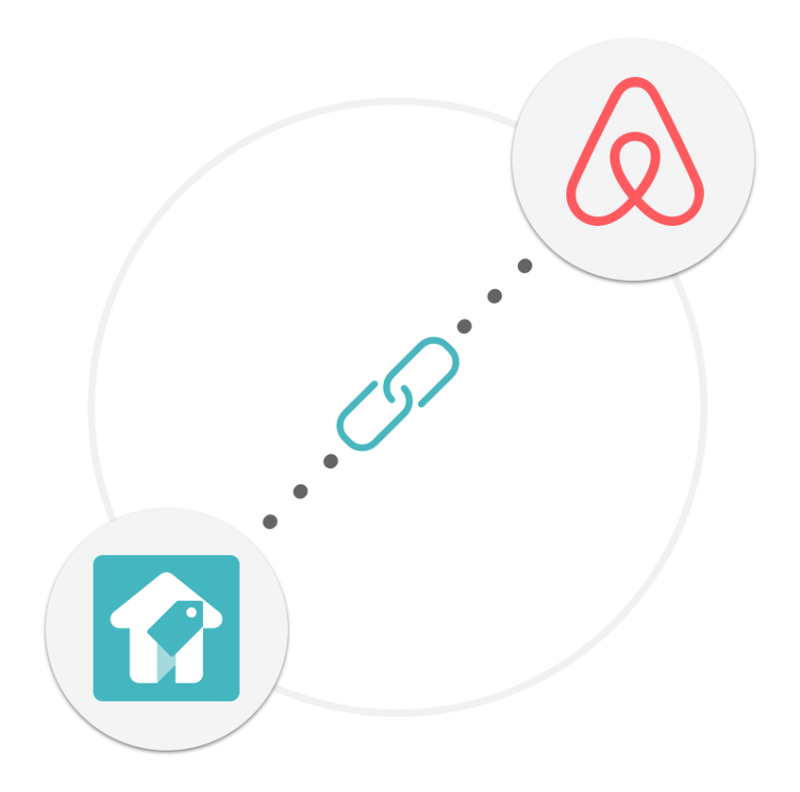 Link your AirBnB account, or multiple accounts, with one click. 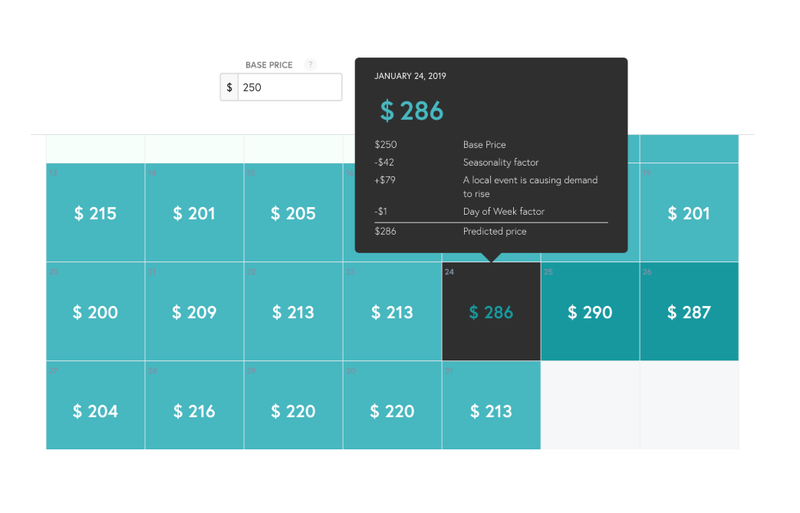 You’ll be able to manage all the accounts, calendars, and pricing recommendations from the Beyond Pricing dashboard. Automate with 1 click. Enable daily automated updates to your Airbnb calendar by turning on Beyond Pricing sync. Turning on sync will guarantee your listing is always competitively priced.